Die Baupiloten BDA is an architectural practice that was founded by Susanne Hofmann in Berlin in 2001. 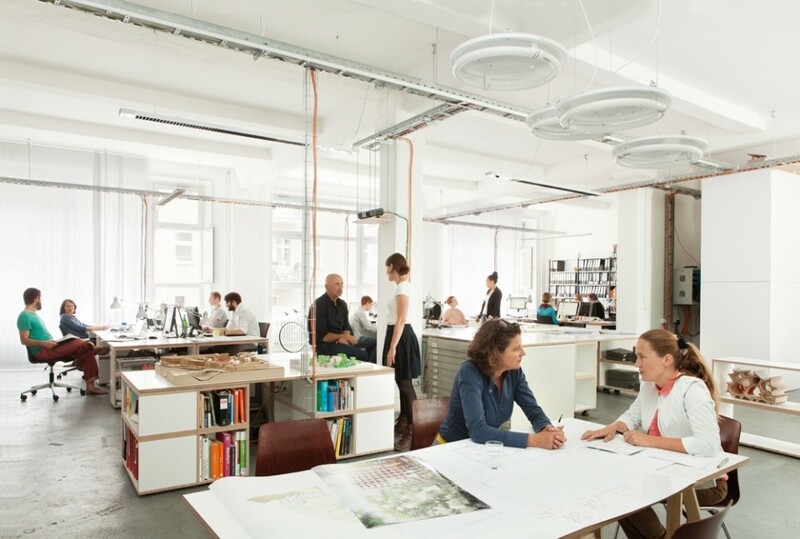 The practice has a core of 6 architects and engineers, an office manager, a product designer and a pedagocial specialist. We have a broad interdisciplinary network of consultants and specialists, with whom we work closely from the outset. Each project is developed, through close dialogue with the client, to be an original interpretation of the brief and site and is integrated carefully into its surroundings. Strong emphasis is placed on a sensory approach to the design of space and materiality and their rigorous detailing, to create compelling and suitable atmospheres. We employ innovative and cost-effective solutions throughout all phases of the design and construction process, through lateral thinking, effective communication and efficient organisational systems. Within the office, the members of each project team are selected to combine the relevant experience and foster a strong sense of responsibility and identification with each project. Years of accumulated knowledge and experience for each design and construction stage, is shared between all members of the practice. Regular exchange and collaboration between the project teams and effective communication within the office is key to our successful project development and stimulating working atmosphere. We have an internal quality control system in our office handbook which is regularly updated.